After Carlsbad Caverns we head south on the I-10 into Texas. At the state line highway quality takes an abrupt change for the better (woo hoo!) but in all of our travels so far we have never seen so much trash on the roadside: fast food debris, aluminum cans, bottles and plastic bags fluttering from the bushes and barbed wire fencing. The “Don’t mess withTexas” anti-litter campaign seems forgotten in this part of the state. Our plan is to meet up with friends in Austin who migrated there from California a few years ago. 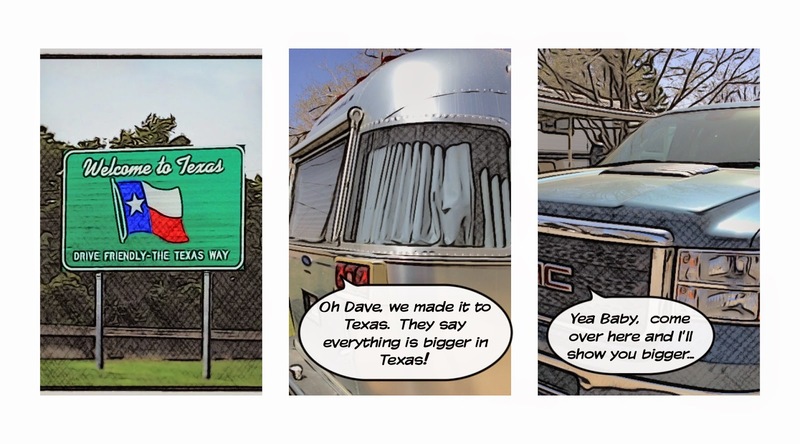 A perfect half way point to stop is Sonora, TX where the Caverns of Sonora have an RV park. We arrive early afternoon; which gives us time to take a tour of the caverns. These caves are some of the most decorated caverns in the world with many unique formations, including a famous butterfly, which unfortunately was damaged by some yahoo a few years back. Even damaged, this piece of calcite is pretty amazing. Our tour guide also tells us a bit about the west Texas culture and economy… lots of ranching, horses, goats and white tail deer. The deer are bred for freakishly large antlers and breeding bucks are sold to hunting resorts where “hunters” pay big bucks (pun intended) to put one of these heads on their walls. After setting up we ask Siri where to get the best BBQ close-by. We are directed to Chief’sBBQ, a hole in the wall in a strip mall across the freeway. The ribs are super smoky with a crispy dry rub and zesty vinaigrette BBQ sauce for dipping and pouring over the meat. Not a bad first introduction to BBQ in Austin. Most of our time here is spent with friends who either show off their Texas acquired BBQ skills or treat us to meals at their favorite restaurants. Best breakfast by far is at Juan in A Million where we have to order the “Don Juan” El Taco Grande, a secret combination of potato, egg, bacon and cheese in a deliciously hot tortilla. There is so much tasty filling that one tortilla is grossly inadequate and our waitress is more than happy to bring us more. Ultimately we fill six tortillas with the yummy filling. And the best part: it only set us back $4.50! Most unexpected meal is at Uchi for contemporary Japanese cuisine. In addition to unique combination sushi rolls they offer lots of tasty small dishes that mix local seasonal ingredients with the freshest seafood from around the world. Everything we sample is mouthwateringly great. With the exception of the Tako Pops – Grilled baby octopus on sticks – visually intriguing – emotionally disturbing (they are just babies after all) – gastronomically disappointing (like eating teriyaki rubber bands). The weather is sketchy, with all of these bothersome April showers that come in March. 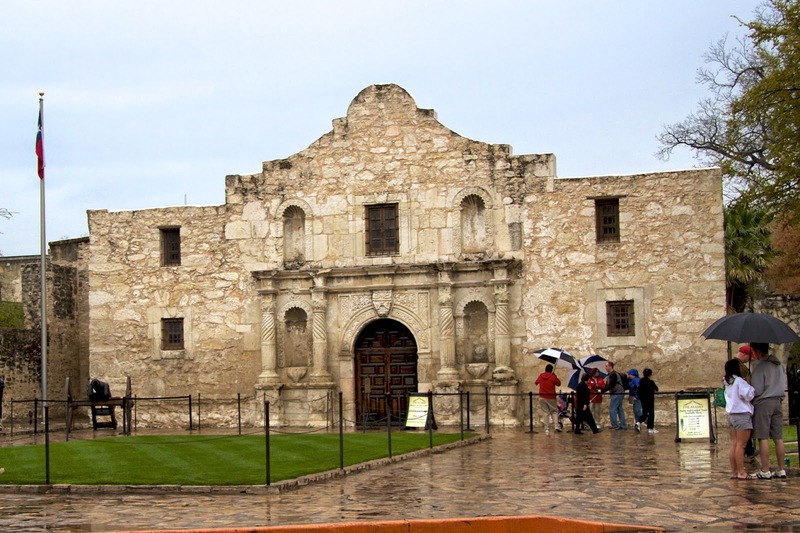 On one particularly dreary day we head 80 miles south to San Antonio to visit The Alamo. (Where the theme song from Disney’s Davy Crockett stays stuck in my head.) The fort is well preserved and the docents are well informed. In addition to the entry fee, we rent the audio tour (which is well worth it.) The short film is fairly well done and another excuse to keep out of the rain. Afterwards we head over to the river walk and have a forgettable Mexican meal. 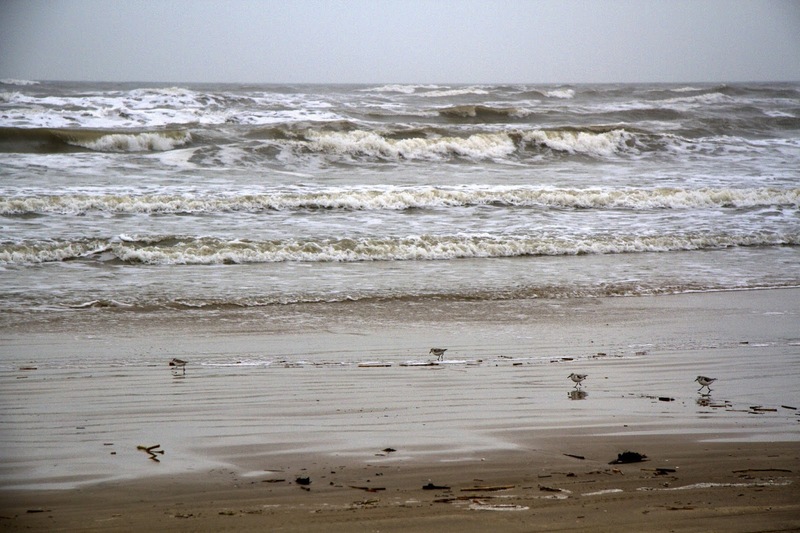 After biding tearful goodbyes to all of our friends, we head to Galveston Island. We spend a couple of days in Jamaica Beach at the Jamaica Beach RV resort. Our space is right on the road and we are actually glad that they could only accommodate us for two nights. So we spend our one full day here exploring the less populated end of the Island. Lots of fancy new houses high on stilts dot the beaches. Next we move to the Sandpiper RV resort in the city of Galveston. It’s a great location with ocean views. Galveston has some incredible architecture. 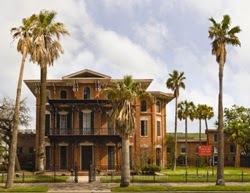 The Galveston Visitor Center is housed in the spectacular carriage house of the Ashton Villa and offers a glimpse into the luxury side of the island. At the Gumbo Diner we enjoy BBQ oysters, these tasty morsels are coated with a Louisiana hot sauce with a blue cheese dipping sauce. The Gumbo was a bland disappointment but the Beignets were absolutely to die for. We actually returned for the Oysters and Beignets. A visit to this part of Texas is not complete without a day trip up to Houston and the Johnson Space Center. This is where the astronauts train. After touring the museum, we take the tour of the actual building housing all of the training equipment and marvel at the sheer size of the Saturn V rocket. Admission is a bit pricy, but it’s half the price of admission to Canaveral and well worth the money. It’s a beautiful drive from Las Cruces to Roswell. 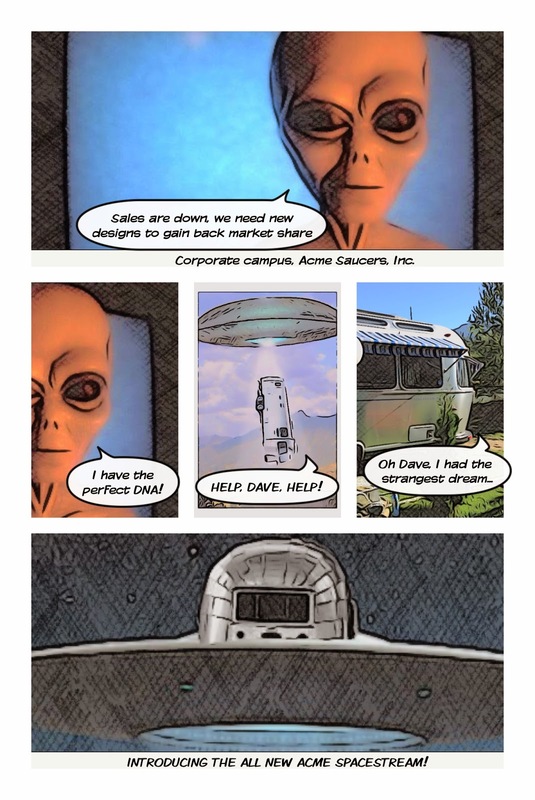 Coming over the hill into Roswell we spot a large silver object at the skyline. Is it a flying saucer? Nope, it’s just the dome of a silo sparkling in the late winter sunshine. Suppressing our imaginations, we drive through town and stay at the Red Barn RV Park a couple of miles outside the city. It’s a small intimate park with only a few spaces available for travelers. We are fortunate to get the last open space. 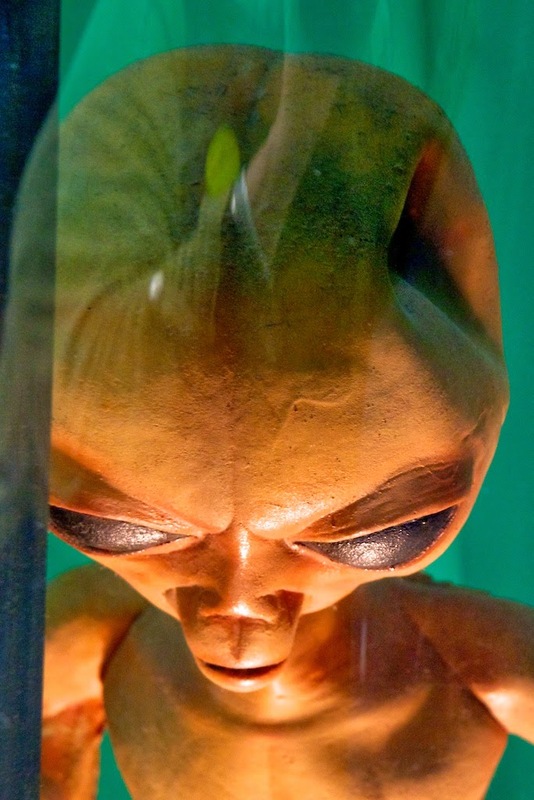 Mention Roswell New Mexico and you think of Aliens but there is more to this town. It’s a farming, dairy and ranching community. The former Walker Air Force base here is now an industrial incubator for economic growth, and the International Air Center hosts hundreds of aircraft in various states of repair. It is home to the International Law Enforcement Agency and the largest Mozzarella Cheese Processing plant in the world, (remember this next time you call Domino’s or Pizza Hut.) But we’re not here for the cheese… unless seeking out cheesy alien tchotskies qualifies. The “Roswell Incident” was unsuccessfully covered up for almost 30 years. 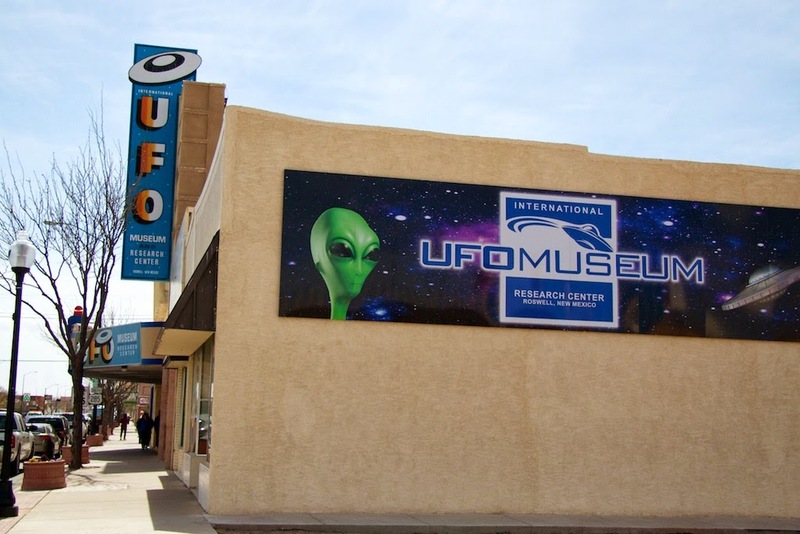 The UFO Museum here is dedicated to presenting all of the available information regarding the incident and other documented UFO phenomenon. They have some pretty compelling evidence, but only strive to present the facts as known and let you decide what to believe. We spend a whole day exploring the museum and all of the Alien themed shops in downtown. About fourteen miles southeast of town are the bottomless lakes. (They are really about ninety feet deep but seemed bottomless to the cowboys with a short rope who named them.) 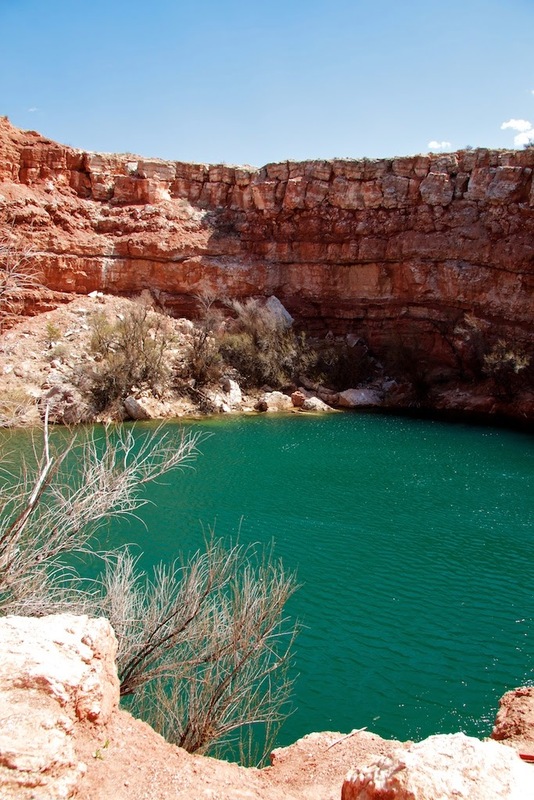 This was New Mexico’s first state park comprised of nine small, deep lakes surrounded by cliffs. 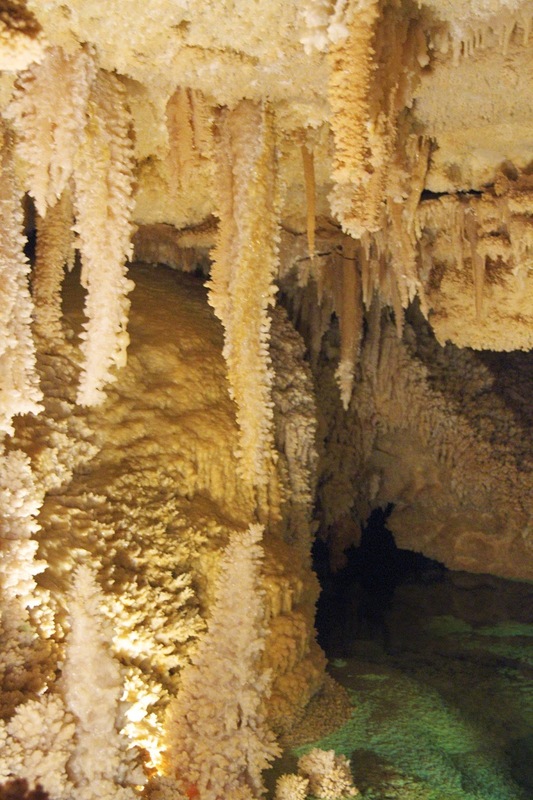 There are rumors that items lost in these lakes have shown up in Carlsbad Caverns some eighty miles to the south and also in the Gulf of Mexico. We spend the afternoon hiking and taking photos but we don’t try to prove the theory of traveling objects. After getting our “Alien Fix” we head south to Carlsbad. The Caverns open at 8:30 AM and we are some of the first of the day to start hiking in from the natural entrance. It takes all of the morning to explore the self-guided portions of the caverns. After Lunch we take a ranger guided tour of the King’s palace. 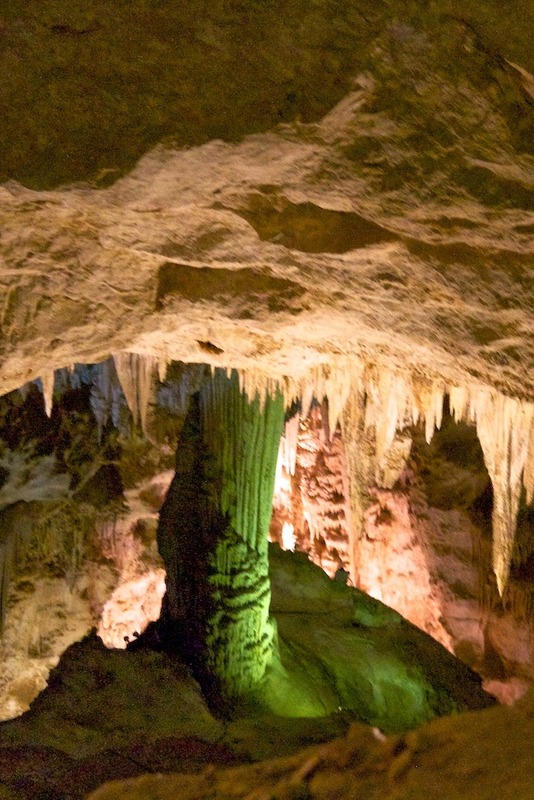 These caverns are enormous and grand and should be on everyone’s bucket list. Heading east from San Diego we stop in the border town of Winterhaven, CA along the Colorado River. The River’s Edge RV Resort is full of snowbirds escaping the freezing north. Although located right on the river, there’s no Wi-Fi or paved roads, but it’s ok for a quick stop before dashing across Arizona. 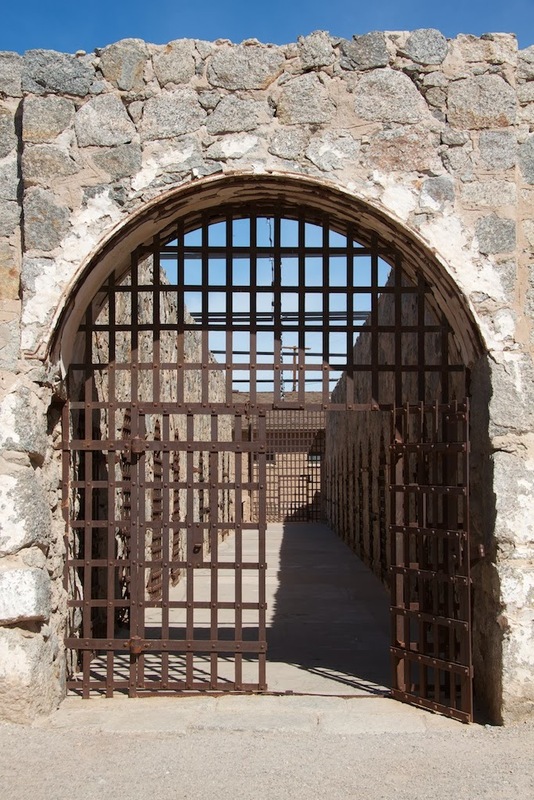 We venture across the Colorado River into Yuma, AZ for a quick tour of the infamous Yuma Prison. In addition to the ruins of the prison there is a museum that gives us a glimpse of prison life. After blasting 395 miles east from Winterhaven, we pull into the Visitor Center just west of Lordsburg, NM. Dimples is injured. A road gator has damaged the sewer hose carrier, the hose is long gone and the black water release handle is ripped off. So we spend a free night of legal boon docking in the visitor center parking lot and figure out the best place to do the repairs. There are a few sights around Las Cruces worth visiting. 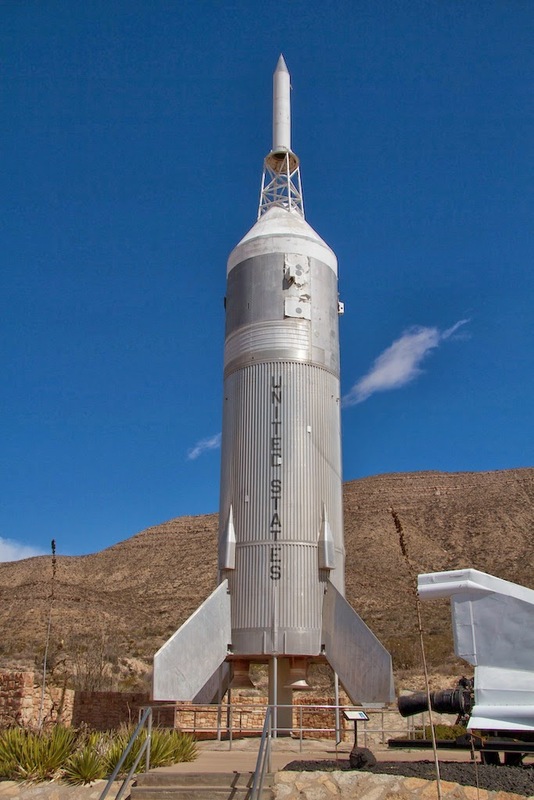 In nearby Alamogordo is the New Mexico Museum of Space History and planetarium. 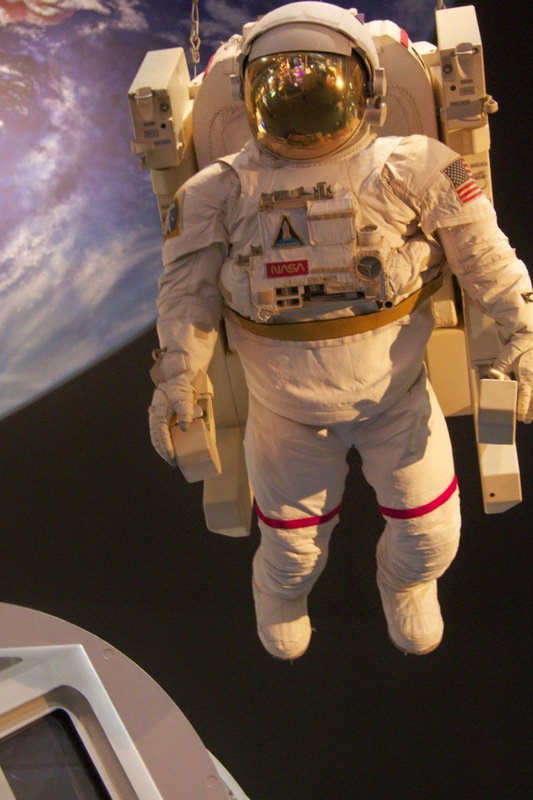 We peruse the exhibits that include the International Space Hall of Fame and catch a short IMAX film about the Hubble. 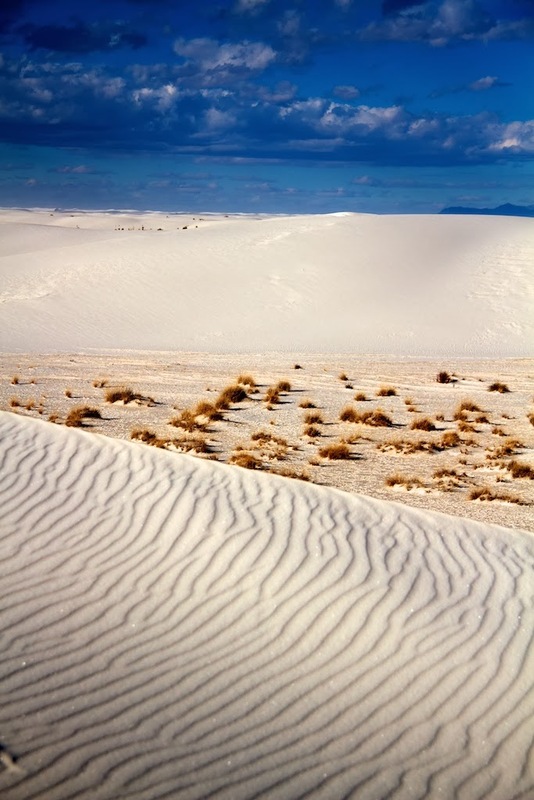 On our way back we stop at the White Sands NationalMonument. 275 square miles of gypsum sand, the largest gypsum field in the world, to view and play in. We drive to the end of the 8-mile park road and then hike back into the dunes. Surprisingly gypsum dunes are much easier to hike on than sand dunes. The late afternoon sun gives us some great contrasts for white on white photography. 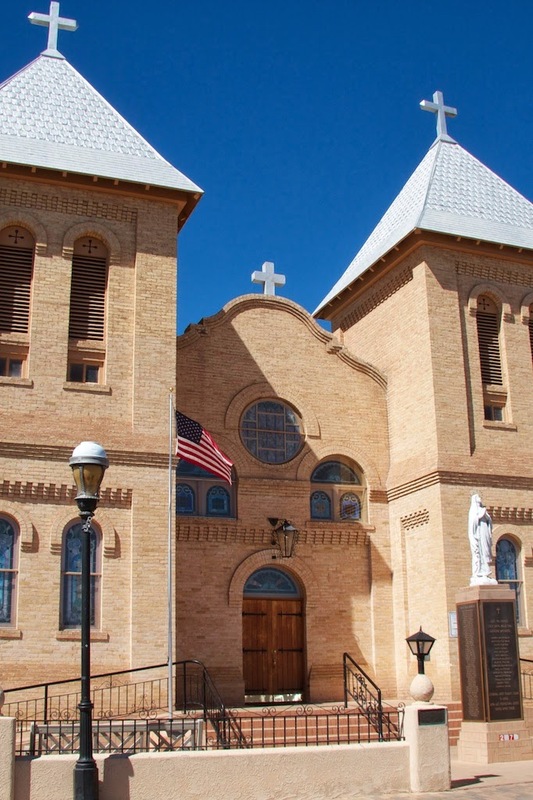 Adjacent to Las Cruces is the town of Old Mesilla. Lots of historic adobe structures, tchotchke shopping and most excellent $5.00 green chili Bloody Mary’s on Sunday at the Double Eagle Restaurant Bar. This is also the town where William H. Bonney AKA Billy the Kid was tried and sentenced to hang. OK so we’ve been slugs for a while. Well not total slugs… just not traveling slugs. The last five months have been spent with friends and family in Reno, Sacramento, Santa Cruz and Southern California (Holidays, weddings, and fun oh my!) 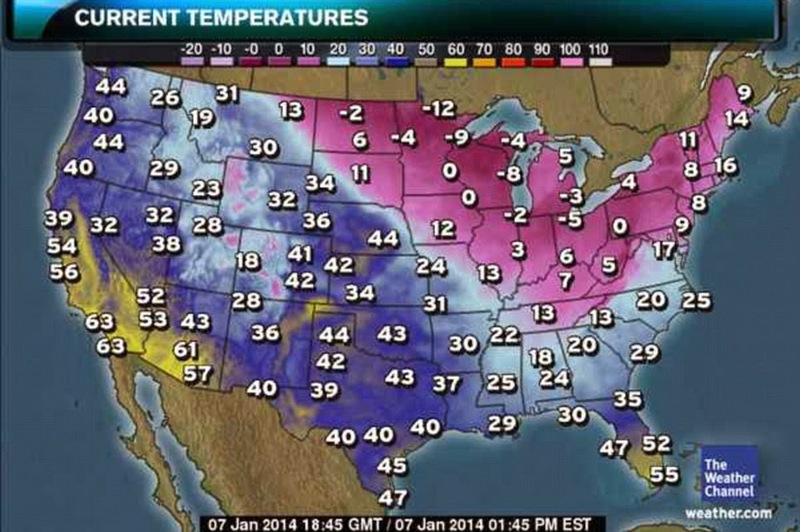 and just enjoying the warm Southern California winter. Chop pork for a finer consistency. Chop mackerel, fun yu, water chestnuts and ginger into the pork. Mix in salt, cornstarch, MSG & pepper. Wrap & let sit in refrigerator for 30 to 60 min. Press into ramekins (or small shallow bowl) and steam for 20 minutes. Serve over steamed rice.